Veterans’ Week 2018, November 5 to 11 – How Will You Remember? During this week, hundreds of commemorative ceremonies and events will take place across the country to recognize the achievements of our Veterans and honour those who made the ultimate sacrifice. For more information please visit the Veterans Affairs Canada website. 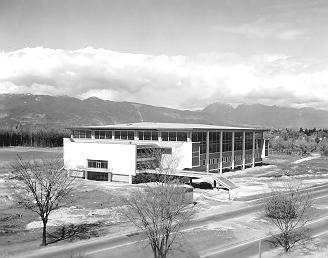 Since the opening of the War Memorial Gym in 1951, The University of British Columbia has held a ceremony commemorating November 11. This year, 2018 will mark sixty-seven years that The University of British Columbia has hosted a Remembrance Day ceremony. This special ceremony is an opportunity for faculty, staff, students and members of the on and off-campus community to honour and remember all those who served in times of war, military conflict and peace. This year, the Remembrance Day Ceremony at UBC will be held on Sunday, November 11 and will include short readings, remarks from special guests and musical performances by the UBC Opera Ensemble. Everyone is welcome to attend this annual ceremony – doors to the War Memorial Gym will open at 10:00 a.m. and the ceremony will commence at 10:45 a.m.
Light refreshments will be served after the ceremony and all are welcome to stay. Marium Hamid, President, Alma Mater Society-UBC Vancouver. The University of British Columbia is accessible by Translink, car, and bike. 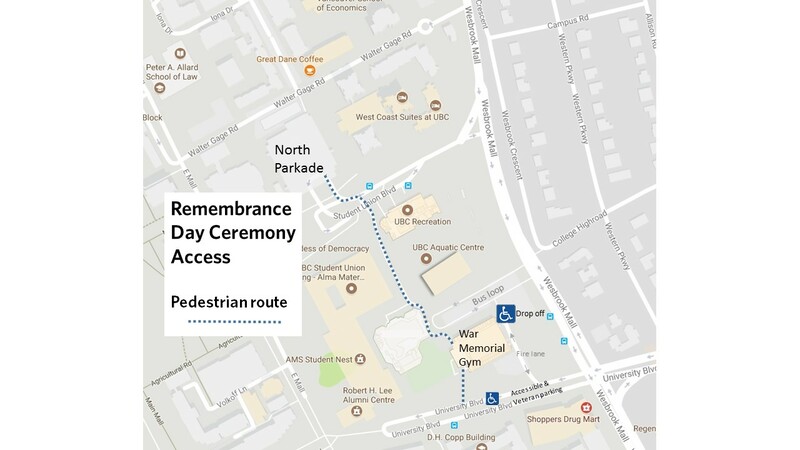 Due to limited parking in the area, please allow yourself extra time to arrive at UBC and access War Memorial Gym. Suggested Parking: Participants and guests are advised to use the North Parkade. Cost: $3.50 per hour or $8.00 for the day (coins or credit cards). (off of a Student Union Boulevard) along the pedestrian walkway and past the new Bus Loop. Or via the pedestrian walkway off of University Boulevard. If you need further information regarding the venue, special needs parking or directions, please visit www.maps.ubc.ca or contact the Ceremonies Office at 604-822-2484. Please see UBC: Student Soldiers Remembered for a historical perspective of UBC and the First World War. For historical information on the opening of the War Memorial Gym and some archival photos of earlier Remembrance Day ceremonies, visit the UBC Special Collections website.